As-Babuni Company was set up in 1992 by three founders acting in their capacities as stakeholders. Since 1995 the Company has been producing noodles, pasta and spaghetti. At its inception, the company employed 15 staff members, and it has successfully developed and increased the employment up to 100 staff members. We produce a huge selection of noodles, pasta and spaghetti with 18 product varieties. We are also the producer of groats, grits and pet noodles. In 2010, the company erected its new production facilities and an office building within the framework of a project co-fi nanced by the European funds. The new machinery and equipment, acquired thanks to the project, will serve us to produce our new products – wafers and flat bread. The company’s products are distributed and sold in the country and abroad. Th e products have been awarded with a number of prizes in Poland and abroad. The latest awards, which are the most precious and rewarding for us, include the prizes won in the national consumer competitions: THE BEST IN POLAND 2011 and THE QUALITY OF THE YEAR 2010/2012. The prizes and awards prove that the quality and our products' image are the most important concern for us. Since the company’s inception, our motto has been and will continue to be ‘the high quality of products for an average price’. The aforementioned undertakings have improved the company’s competitiveness in the domestic market so that we can enjoy a high-ranked position among the top ten noodle producers in Poland. You are warmly welcomed to cooperate with us. 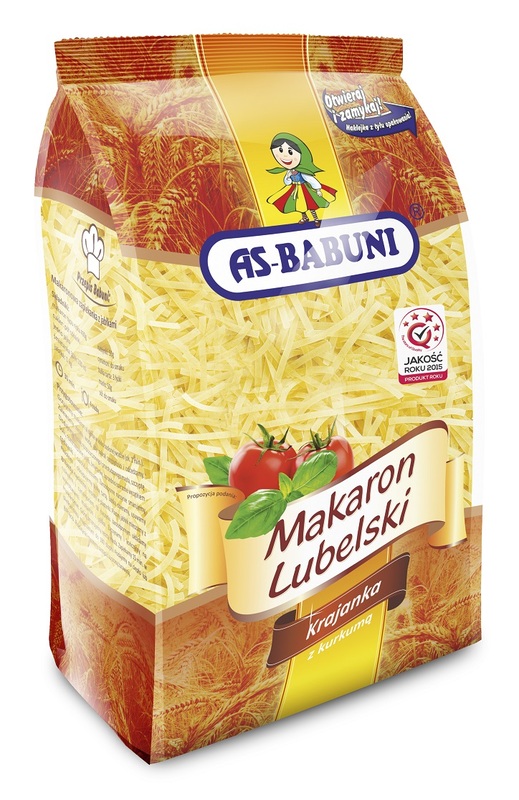 Produkty i usługi: Company producing noodles, pasta, groats and grits, pet noodles and wafers.